This is the true story… of two family members… who live in a house…one a knitter and the other a sewer… and what happens… when people stop being polite… and start…. crafting. For the first time in years we have a tv room. This is exciting for two reasons 1) If you don’t like the programming (another evening of the History Channel, snore) you can sit in the living room and 2) It’s a new room to personalize with handicrafts! 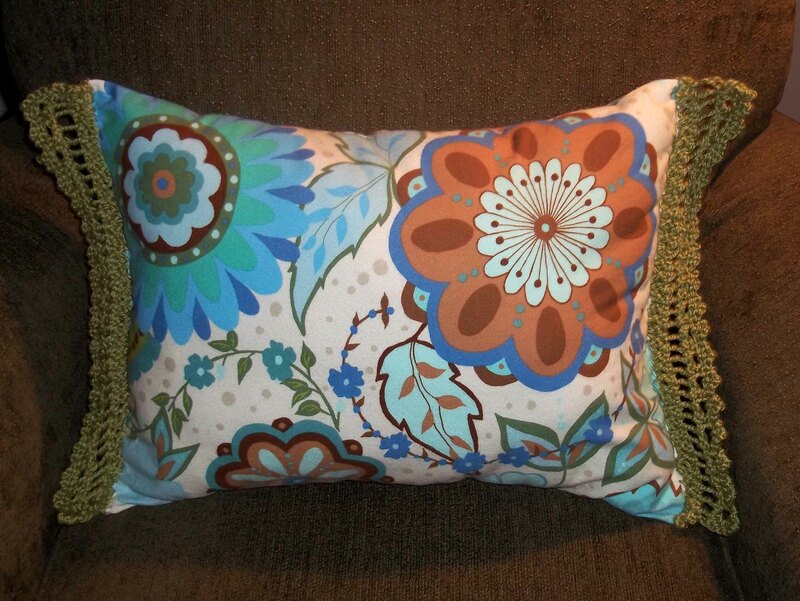 A chunkier lace edging works best with this bold fabric. After multiple trips to different fabric stores we finally found some fabric that fit the pillow paramenters at Sew-N-Save in Clearfield, UT. Resident sewing person cut fabric rectangles measuring 15 1/2″ by 22 1/2″, providing a 1/2″ for seams. Sew, sew, sew (can you tell I don’t sew?). 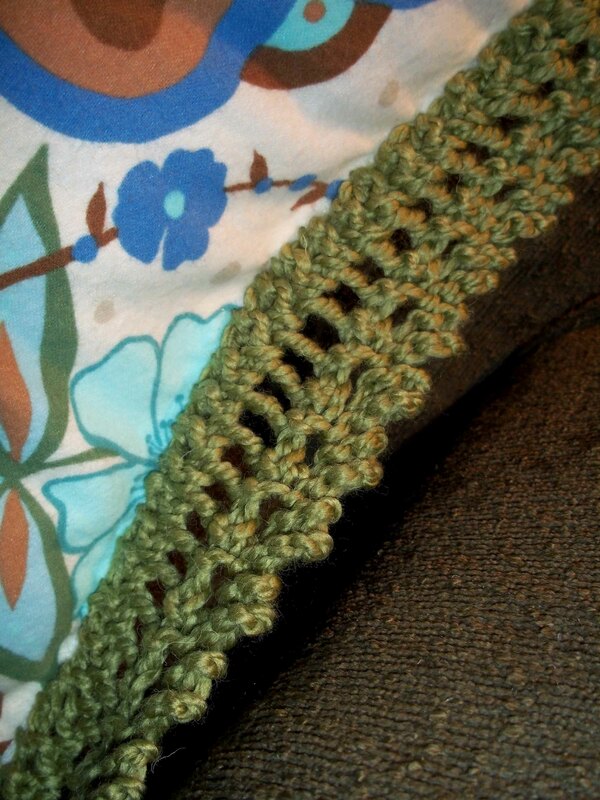 When the lace is the desired length, in this case 15 inches, bind off on Row 4. Sew to the pillow using the remaining yarn (and a pair of pliers, because this is some thick yarn!). Enjoy!